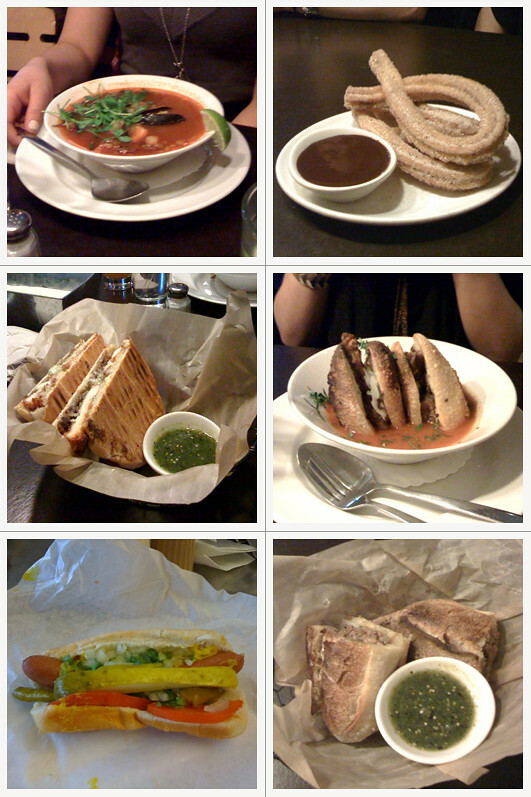 Here are some phone snap shots of the food we ate at XOCO (minus the hot dog). I love that place. Rick Bayless was actually working the kitchen right when we got there! Needless to say I got a little star struck. This restaurant is reason alone to go to Chicago again! I ordered the pepito torta (bottom right) and churros to share, and a lemongrass jamaica drink which isn't pictured. The hot dog was a little place by my friend's school. I need to eat hot dogs with this many toppings all the time. Next up I'll share photos of all the food we got at Girl and the Goat.